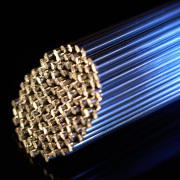 Ultra low hydrogen high basic offshore electrode for high strength fine grain steels. Designed for welding steels with high yield strength >690N/mm2 in offshore, crane building, heavy transport, lifting etc. Mn, Ni, Cr and Mo alloyed basic electrode for welding low alloyed steels with yield strength >690 N/mm2. Crack resistant and well suited for low-temperatures, ductility down to -60°C. Preheating, interpass temperature and post weld treatment as required for the base metal. Hydrogen content: < 3 ml / 100 g weld metal. Ceweld 11018-H is packed in the best in class multi layer vacuum pack to avoid costly and time consuming redrying of the electrodes. Weldox 700, naxtra 70, S690, dilimax, S690QL1, S620, S550, Hardox, S620Ql1, S690QL1, S600MC, S700MC, Naxtra 63, Naxtra 70, Optim 700 mc plus, TStE620, TStE690, Weldox 500, Hardox, Domex 460 MC, Domex 500 MC, Domex 550 MC, Domex 600 MC, Domex 650 MC, Domex 700 MC, L480 - L550, X65 - X80, Hardox 400, XAR 400, Dilidur 400, 20MnCr65, 28CrMn43.